Did your best friend choose you to lead her bridal party? Are you a bride who is worried about her MOH doing a great job? No worries! We have all the answers here. Check out our checklist outlining all the duties of a Maid Of Honor! Chat with your friend. Get an idea of the type of wedding experience she would like. Find out what events she would like to do and which ones she would like to skip. Discuss the type of role you will be assuming. Find out if she will be a part of the planning or if you will be running the show. Talk to her about themes and color palettes. 2. Reach out to bridal party. Gather all information from the bride about the bridesmaids. Send out a friendly email introducing your self and outlining the year ahead. You will be the hype man and spoke person for the bride. The bride will be depending on you to not only to lead but to energize the bridal team. If everyone is local, a small lunch could be the perfect way to introduce your self. Find out early the financial situation. Some brides may expect the MOH to host bridal shower and bachelorette party. Make sure you know everything up front. Not only will you need money for your wedding attire, events, and gifts, you may find yourself picking up the slack in some areas. Be prepared. This is your most important task. In order to avoid you or the bride fitting the entire bill alone. Its best to split up costs or delegate tasks for the bridal events amongst the bridal party. Create a budget early for bridal shower and bachelorette. Discuss the planning ideas with the bridal party and split the bill with bridal party. If your asking for any monetary contributions, the key is to ask early. Make sure bridesmaids get fitted for their dresses and shoes. Remind them of deadlines and deposit dates. Select a final date, when bridesmaids should have all wedding attire and make sure they follow it. If the bride is doing a tasting or shopping for a dress, you should go. Find out her plans. Stay interested in her wedding. Volunteer or ask her if she would like you to accompany her. Don’t wait for an invite. 8. Be her right- hand woman. You should know the ins and outs of her wedding. Know what is expected of her vendors. Create a wedding day schedule . Be sure to have bridesmaids and vendors numbers in case something happens on the wedding day and you need to make a decision on her behalf. Be a person of contact. Address enevelopes, fill out place cards, coordinate with dj, put on corsages, Do whatever is needed to keep your girl happy. 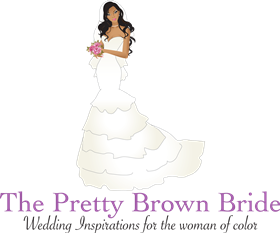 Discuss color palettes and themes with bride. Find out who to invite. Find a venue. Plan the entire event. Remember you should lead this event with the assistance of the bridal party. 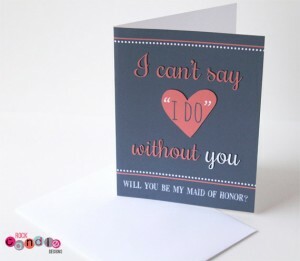 Create a budget and collect money from bridesmaids to get it done. Create a schedule for the day of the bridal shower. Have bridesmaids arrive early to setup and stay later to clean up. Record gifts for the thank you cards. Don’t forget to buy a gift. Host a memorable bachelorette. Team up with bridemaids and discuss budget and bachelorette plans. Again , split up the costs amongst yourselves. The bride is paying for so much, try to give her a fun free event. Arrive at rehearsal early and know what is expected of you for the wedding day. Practice holding the grooms ring, fixing the veil or train, and holding the bridal bouquet. Give an exceptional speech. You don’t have to be a strong public speaker. Just make sure its heartfelt. At some point during the reception, you may run into guests who simply don’t know what to do. Be prepared to direct guests to the restroom, show them the gift table, invite them to sign guest book and etc. Sometimes emotional crises may arise during the course of the day , be prepare to correct issues. Handle them before they get to the bride. Don’t allow them to ruin her day. Try to create a wonderful experience for your friend. Take your role seriously. From the moment she asks you to be her maid of honor, jump right to it. Its truly an honor. Look at every event as a potential for a good time with your friend. Don’t complain or hate. Be happy for her and show it.